In Defense of the Dutch: Or, What’s Jumping Got to Do With It? 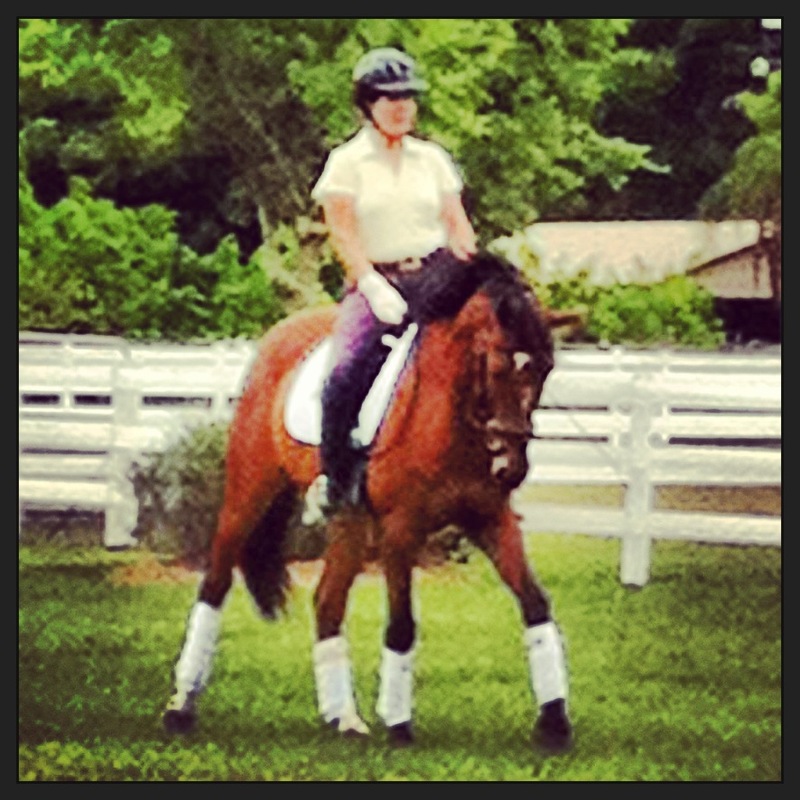 After I made the switch from jumping to dressage, I had the great good fortune to be trained in the SRS and classical German methods by some excellent coaches. As time passed, I began to clinic with other masters, such as Dominique Barbier, and learned an exceptional amount about in-hand work, development of the young dressage horse, and refining the FEI horse. Interestingly, each trainer and clinician — regardless of his or her background — emphasized the use of repetitive and constant seat and leg aids: driving the horse with each stride. Two years ago I began working with a well-known Dutch trainer, and what she taught me totally and completely changed my approach to dressage and horsemanship. DUTCH — I know for many readers that word conjures images of rollkur and blue tongues. In fact, a recent discussion on the Chronicle forums clearly suggests that because of a few bad apples, the Dutch method has gotten a very bad rap. While I whole-heartedly agree that any training practice endangering the horse’s mental and physical well-being is suspect / wrong / nogoodverybad, I’ve also come to realise that the Dutch method as I was introduced to it has about as much to do with rollkur as Donald Trump’s hair (I know, I’ve used that shocking image before) does with shag carpeting. That is to say: although they may both be in the same room at the same time, and even seem associated, they are not necessarily the same thing. Case in point: the first time I rode with Dutch Trainer X, she chastised me loudly and severely for driving my horse too strongly into contact while simultaneously “carrying” him. She argued that in order for a horse to be a happy and healthy athlete HE must learn to do the job of carrying and balancing himself and his rider . . . all on his own. She noted that the rider’s task is to ask for directional changes (which the horse maintains until asked to do otherwise), and for pace / impulsion transitions — but that’s it. Everything else is the horse’s work. This was a difficult idea for me to wrap my Teutonic mind around, and my German horse felt the same way. But one day it clicked! All of a sudden my years of jumper training came back to me and I understood (ta-da!) that just as you absolutely cannot carry your horse around a course, nor lift him bodily over the fences, neither can you lift, carry, and goad your horse through a dressage test. The horse must do the work; the rider merely directs, suggests, and accentuates. I’ll take this jumping analogy one step further: fences and courses each ask specific questions that only the horse can answer. My Dutch instructor caused me to understand that the same goes for dressage. The movements . . . the training scale — these are things the horse, himself, must contend with. As riders — good horsepeople who are good stewards of our equine partners — our only job is to provide the correct tutoring and proper directions. We do not have to be (and in my opinion, should not be) helicopter parents hovering over each stride while nagging for progress updates. As my trainer said: let your horse do the job he was born to do with as little interference as possible. Over my allotted year with this trainer, I never once rolled, tucked, or hyper-flexed my horse nor was I asked to. The most constant refrains I heard were “stop driving” and “bring his neck up.” While I don’t disagree that some trainers of many nationalities use RK / LDR, I think to make the presumption that all the Dutch Team riders and trainers do is shortsighted and cuts us off from the many excellent things the Dutch methods do offer. In closing, I’d like to suggest a moratorium on the rollkur debate. Hyperflexion doesn’t help horses; we know this. Instead, let’s focus on finding ways to mitigate the divisions within our often fractured dressage community. Let’s agree that no training method works for every horse on a wholesale scale, and that we can pick and choose from the rich training histories around us. Let’s be civil and let our horses do — joyously — what they were born to do . . . with as little interference as possible. Previous Post Roeckl Gloves: Truly Suprema? Next Post 33 Things You May or May Not Want to Know . . . I really enjoyed this and am in love with the last paragraph of this post. This has been something I have been struggling with myself as I have been with the same trainer for 7 years and was convinced hers is the ONLY way. From frustration of no progress and only ever being answered with “more forward” to solve all my problems I am finally opening my eyes to other methods, ideas and concepts. Needless to say I am looking for a new trainer. 🙂 Thank you for saying what I have been feeling. I’ve nominated you for the Liebster Award! Head over to my blog to find the instructions. Thanks for always being an interesting read! I agree that the Dutch have a bad rap – the Dutch method isn’t the problem, it’s…lazy people, to be honest. And no, you can’t literally lift and carry your horse around. Remembering that is very important. Great blog, by the way. Thank you so much for your comment! Yes, I agree — laziness and “shortcuts” are the quickest way to ruin a horse, IMO.